The Zombie Melee pack emits a pulse from the head sensor, so if a zombie gets close to a gamer they can “shoot/bite” them (without a gaming gun). Just like in the movies, gamers need to hit the zombies in the head. 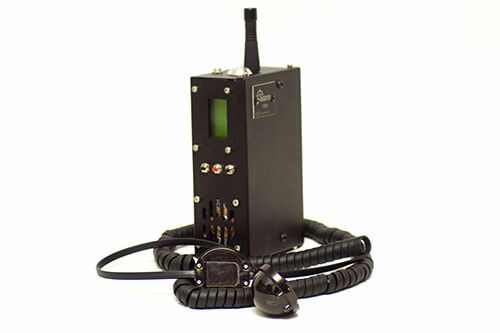 The Zombie actor box consists of a small black metal box with SATR electronics including LCD, main board, 3 buttons plus a special Zombie head sensor with infrared emitter. This enables the zombie actors to simulate a bite! actors can discreetly place the actor boxes in their costumes at all times.